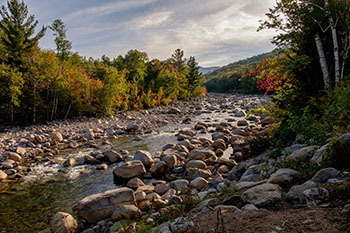 The beautiful Upper Valley town of Hanover, New Hampshire is located on the Connecticut River with the majestic White Mountains to the east and the spectacular Green Mountains to the west. Hanover is one of the best college towns in New England. The area boasts world class education and is home to Dartmouth College, Geisel School of Medicine, Thayer School of Engineering, and Tuck School of Business. The Dresden School District, the country's first interstate school district, provides top notch education to students from Norwich, Vermont, and Hanover, New Hampshire. In addition to a well educated population, there is also a large employer base with major companies in the healthcare and technology industries, including Dartmouth Hitchcock Medical Center, Dartmouth College, and the US Army Corps of Engineers. You’ll find beautiful neighborhoods and plenty of nature to explore in the area, including the Appalachian Trail, Connecticut River, Mascoma Lake, and the Rail Trail. Hanover has a wonderful variety of art galleries, museums, shops, and restaurants. Popular outdoor activities include hiking, skiing, canoeing, and kayaking. The excellent schools, great employment opportunities, and abundance of nature makes Hanover, New Hampshire a great place to study, work, and live. Discover a great selection of real estate in Hanover, including land, condos, single family homes, and luxurious estates with panoramic mountain views.